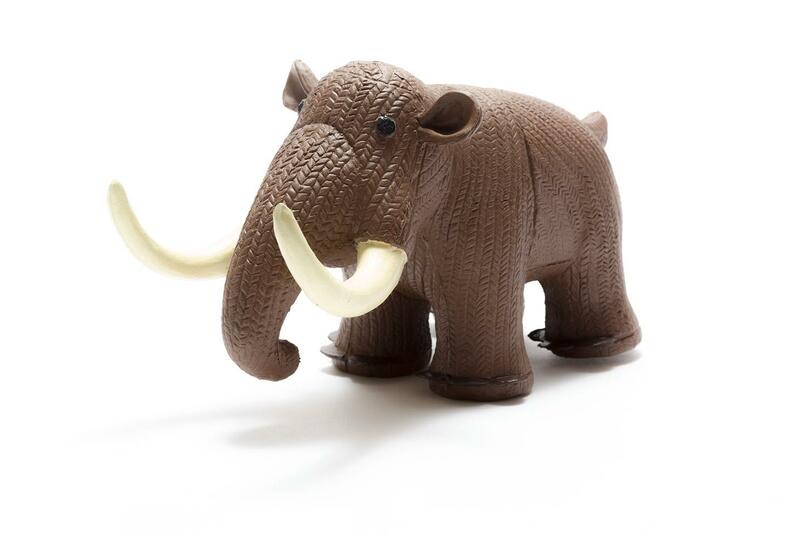 Natural rubber Woolly Mammoth toy is handmade and perfect for young babies. This toy is textured and extremely tactile and is ideal to chew on when baby's first teeth are coming through. Easy to clean, our natural rubber toys do not have any holes so there is no chance of bacteria building up inside. This makes them ideal for toys both in the bath or out and about. Suitable from birth. Ethically sourced. Want to see how our handmade natural rubber toys are made? CLICK HERE.